I want complete vegeterian food thoughout the trip. 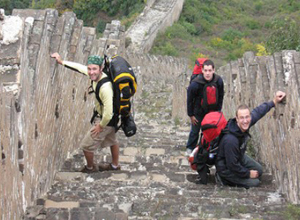 I’m interested in Beijing & Shanghai tour package all inclusive. Please email me the options and prices. I am interested in the 6 day Shanghai Beijing Tour. Please email me the options and prices. Hi i would like to talk about 6 day tour packages, i have already booked my hotel in shanghai and china.. i would just like to avail of the tour and train ride Shanghai to beijing and V.V. … my wife and I will be travelling on dec 2-8, 2013 pls contact me as soon as possible..
Hi i would like to talk about 6 day tour packages, i have already booked my hotel in shanghai and beijing.. i would just like to avail of the tour and train ride Shanghai to beijing and V.V. … my wife and I will be travelling on dec 2-8, 2013 pls contact me as soon as possible..
Hi, Please let me know more about 6 day Shanghai – Beijing tour from Delhi; cost for the package with a min. 3-star hotel, seightseeing, dates of departure of the tours in May, June and July 2014 and possible customisation of itinirary and extra stay in Shanghai and / or Beijing. I would like to book for 2 in next two weeks for a date in May – July 2014.